The Bears began their fall season with a disappointing 11th-place finish at the Carpet Capital Collegiate but quickly followed that up with a third-place finish at the OFCC/Fighting Illini Invitational and a victory in the first Big Match against Stanford. At the Alister MacKenzie Invitational, Cal’s home tournament, the team managed a strong showing that culminated in second place overall. Coming off these stronger matches, Cal struggled once again at the 2018 Tavistock Collegiate Invitational, a tournament the team had won the year before. The Bears finished in eighth, but men’s golf director Walter Chun noted this as an opportunity to remind his team of the danger of double and triple bogeys in team tournament play. The Bears seemed to take his words to heart, as their last tournament of the fall campaign, the Ka’anapali Classic in Maui, was undoubtedly their best. The team finished first overall, with redshirt senior Sebastian Crampton claiming an individual victory. Both Crampton and senior Collin Morikawa hope to continue their seasons of success heading into the spring. They both received recognition as the Pac-12 Golfers of the Month in November and September, respectively. Morikawa entered 2019 ranked second in the NCAA, according to Golfstat, and Crampton ranks 46th. Redshirt senior and All-American K.K. Limbhasut and freshman James Song are also ranked in the top 200 overall. The four of them will be joined by redshirt senior Ben Doyle, who will be competing with the team, and sophomore Kaiwen Liu and redshirt junior Jamie Cheatham, who will be competing as individuals. 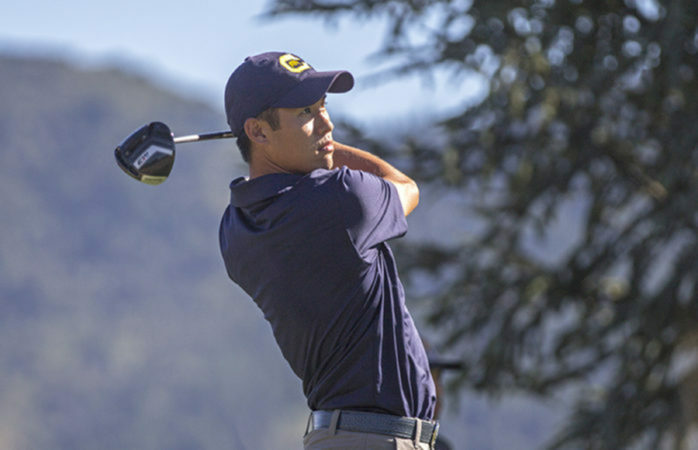 This is the first time since 2006 that the Cal men’s golf team will participate in the Farms Collegiate tournament, and the team is looking to come out with a victory, entering the tournament ranked No. 17 by Golfstat. The Bears outrank the rest of the field, with no other team in the tournament ranked in the top 100. Additionally, Cheatham, Doyle, Liu and Song are all from the San Diego area and will undoubtedly be hoping for a win during this homecoming event. This tournament may also be an opportunity for Morikawa to win his first individual tournament after four straight top-five finishes this season and 10 straight top-10 finishes, dating back to last season. He outranks all other competitors in the tournament, and his stroke average this season of 67.50 is better than the national record of 68.68 he set last season. The team hopes to carry on its momentum from the end of fall into this tournament and beyond with the ultimate goal of qualifying for the 2019 NCAA championship, which Cal failed to qualify for last season. Chun seems confident that his team is capable of doing this, and perhaps even more — he hopes for the team to continue its winning streak through the spring part of the season. Chun’s confidence is in large part because of his four experienced seniors: Morikawa, Limbhasut, Crampton and Doyle. In addition, Cheatham, who had been out for seven months with an injury, has returned now for his second tournament of the season. Many other players on the roster, including Liu, Song and Chun, have shown their ability to shoot in the 60s, showing the Bears’ strength as well as their depth. The Bears have plenty to look forward to this spring, and the Farms Collegiate Invitational is only the start. With redemption on their mind, the Bears hope to have the chance to compete for Cal’s second national title. Akshara Majjiga covers men’s golf. Contact her at amajjiga@dailycal.org.